The CO site is in launch phase and we are inviting individual and business leaders, pioneers and influencers to join our founding community. We are also populating the site with intelligence and resources and formalising partnerships with industry bodies and events. CO is, in essence, a matching engine. When you join, the site asks you to enter information about yourself, your skills and what you are looking for, so that it can match you with relevant information, people, and organisations that can help you to achieve your goals. Members join as individuals first, then have the opportunity to set up one or more business profiles. Business profiles are weighted on CO. If your business is operating to high ethical, sustainability, and quality standards, you will come up higher in searches, and therefore your business will gain more profile on the site. You can join CO, set up individual and business profiles, and start to get matches, completely free of charge. You will then have the opportunity to upgrade to premium membership, which will allow you to access more content, do more with your profile, and make more connections. 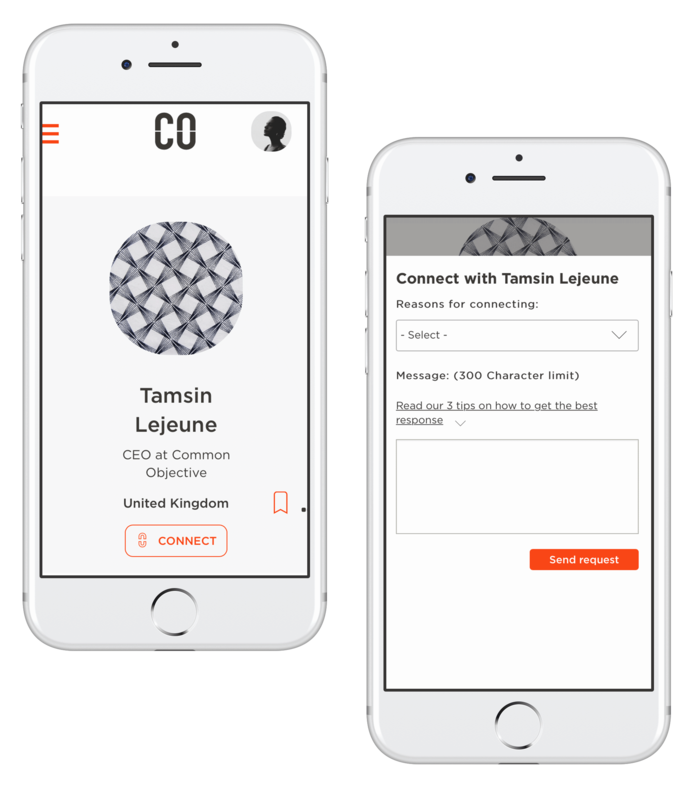 The information you provide when creating your individual and/or business profiles on CO allows the site to find relevant matches for you. 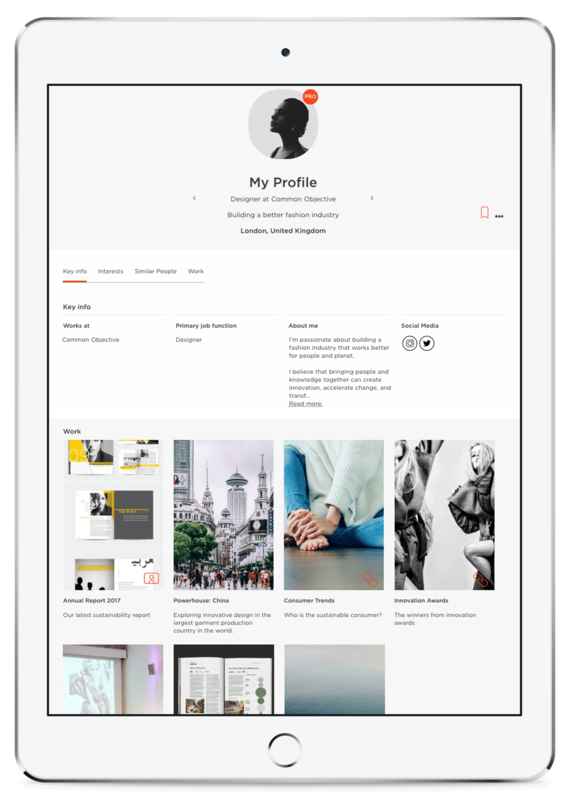 You’ll be matched with people, organisations, and content through your own personalised dashboard - and your preferences can be edited at any time. The more information you enter, and the more complete your profile, the better your matches will be. Read more about how CO rewards sustainable business practices here. CO profiles for individuals and businesses are designed to set out the key information you need, including experience, products and services and sustainability - so you can connect with the right people. As well as being matched, you can do a detailed search, and get straight to what you need. Uploading great imagery and keeping text short and succinct will increase the success of your profile. You can edit or add to your individual or business profile/s at any time. Click on the black question marks for guidance and resources throughout. We aim to offer practical, solutions focused resources that help our members to do business better. We are continually adding new intelligence, resources and tools to the site, in collaboration with partners. Is there a resource or tool that you would find helpful on CO? Email us to let us know. Fashion is one of the world’s most polluting industries, and millions of garment workers face risk and live in poverty. Yet when fashion business is done well, it can be transformative for the people behind the product, and for their environment. At CO, we’re inspired by the potential for great business to drive value for all. Sustainability to us means generating value in three dimensions (3D) - the “triple bottom line” - in which people, planet and profits are considered equally fundamental to business success. The CO platform turns doing business better into an opportunity, rather than a cost. We support and reward our members for better practices. We want to make it easy for businesses everywhere to operate in 3D. How does CO reward good sustainability practice? By demonstrating sustainability commitments on your business profile, you stand to gain increased visibility on the site, and make more connections with potential customers. Both individuals and businesses that show leadership in furthering sustainability in the fashion industry are eligible for the CO leadership awards. These increase profile and search rankings for their recipients. Does CO verify members’ sustainability claims? We are not an auditor or certifier – rather we focus on transparency. Our goal is to empower all of our users to make the best choices for their business. have a feedback mechanism allowing members to report concerns of sustainability claims to us. 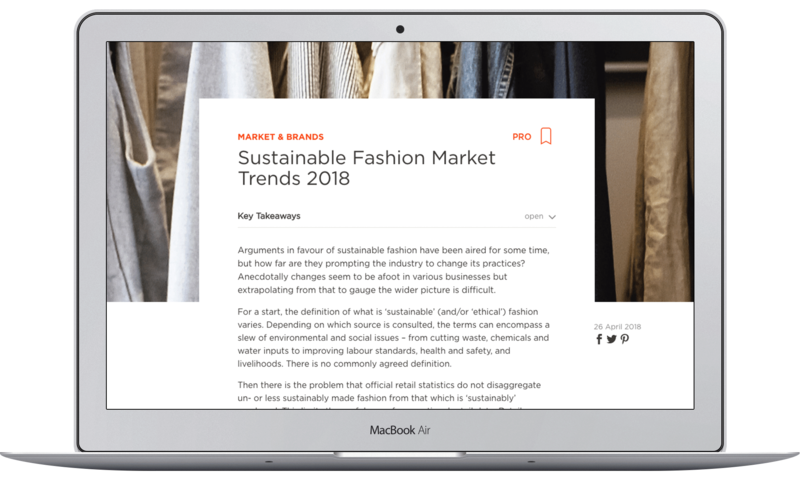 A number of brilliant organisations and initiatives have created or are creating solutions to benchmark, measure, and communicate sustainability standards in the fashion industry. Our approach is to build win - win partnerships that will allow us to collaborate towards the common objective of a better fashion industry, rather than re-inventing the wheel. If you are working in or with the fashion industry, or are interested in doing so, CO is for you. The site is designed to help you to connect with the right people - from suppliers, to buyers, to experts, to team members, who will help you to achieve your goals. If you want to grow your knowledge or expertise, stay up to speed on latest innovation, get your products right, or build efficient and sustainable supply chains, CO is here to help you. See Make CO work for you, below, for more information relevant to industry roles. Join CO within our first year and you / your business will always be recognised as one of our Founding Members. Sign up in a matter of minutes. Is there a fee to join CO? You can join CO, set up individual and business profiles, and start to get matches, completely free of charge. You will then have the opportunity to upgrade to premium membership, which will allow you to access more content, do more with your profile, and make more connections. See our premium packages. How is CO different to other sourcing and intelligence platforms? CO is free to join and open to individual and business members from all over the world. CO matches you with information and connections tailored to your needs, so you don’t have to search. And the site helps you to work in the most sustainable way, rewarding you for doing so. Our strategy on CO is to offer practical, solutions focused resources that help our members to do business better. There are a number of other organisations developing resources that will help our users - rather than duplicating their efforts we seek to build partnerships. If your organisation would be interested in collaborating on content, or if you are interested in contributing content to CO, email us. Does my business need to be sustainable to have a profile on CO? Any business can have a profile on CO, no matter where they are on their ethical/sustainability journey. However, a business profile will not go live on the site until certain fields relating to sustainability are completed - this is to ensure transparency of business practices. The site offers support and guidance related to sustainability. The more sustainable your businesss is, the higher your search rankings will be, and the more profile you will gain. On CO, it is to your advantage to operate in the most sustainable way. What does “CO” stand for? CO is an abbreviation of “Common Objective”. CO matches people with shared goals - Common Objectives - so that they can buy, sell, grow, and prosper. CO is also shorthand for Company. We are a platform for businesses everywhere - wherever they are on their sustainability journey. All business has a Common Objective - to generate financial returns and prosper. All society has a Common Objective - to maintain a global environment in which we can prosper. CO aims to deliver on the Common Objective of all business - whilst safeguarding the Common Objective of society as a whole. If you are selling products or services in the fashion industry, CO will help you to find and connect with the right customers. Present your offer in the way buyers need to see it, and get matched with people who are seeking what you do. Our intelligence and learning will also help you to understand market opportunities, stay on top of latest innovation, and make the right sustainability choices for your business. CO will help you to build sustainable supply chains. Use CO to find suppliers and products that meet your needs, when you need them. For designers and SME brands, CO will help you to get your products right, present them to buyers, and grow your sales base. 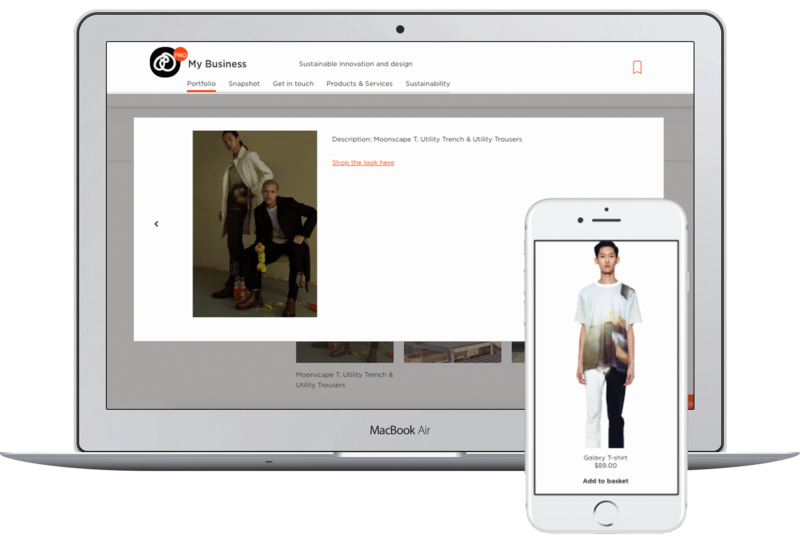 For established brands and retailers, CO will support your sourcing, design, technical and CSR teams with tailored information to their inboxes, responding to their needs. Collaboration is a core value for CO. If you are an organisaton, certifier, or industry body and you are offering services that could add value to our members, we are interested in working with you. We believe that we will increase our joint impact towards the Common Objective of building a better fashion industry, through building win-win partnerships. If you are interested in partnering with CO, email us. Use CO to develop your expertise, stay on top of latest innovation, and get the inside story on how industry leaders are succeeding in fashion in 3D (3 dimensions - people, planet, profit) Get inspired by the work of pioneering brands and suppliers, and make connections that will help you to achieve your goals. For entrepreneurs, access resources and insights to help you to build your business in 3D. As the next generation of fashion industry leaders, students and graduates hold to keys to a more sustainable fashion industry. As a student, join CO to get matched with resources and connections that will help you to achieve your goals. Our ambition at CO is to make it easy for students everywhere to access and take advantage of CO resources, intelligence and training, and to help course leaders to integrate sustainability into their fashion programmes. We partner with fashion colleges - email us if you are interested in finding out more. What’s wrong with the fashion industry? Poor working conditions, risk, and poverty remain a pressing issue for 60 million workers across the global garment industry. Garment workers in Asia, most of whom are women, earn about half of what they require to meet their own and their families’ basic needs, such as food, water, education and healthcare. (Asia Floor Wage). In 2013 the Rana Plaza garment factory collapsed, killing 1033 people - since then, factory fires and unsafe conditions continue to be common. At CO, we believe that fashion can be done better. When fashion business is done well, it’s good for everyone. It creates jobs, prosperity, and great products that don’t damage the environment. We all win. What is preventing increased sustainability in the fashion industry? The work of the Ethical Fashion Forum over a decade has identified two big things that are preventing sustainability moving from niche to norm in the fashion industry. Firstly, fashion people lack practical information and guidance to help them to operate in a more sustainable way. The issues are complex, and awareness of what the problems are, and how to address them, remains low. Secondly, working in a sustainable way is seen as being costly and difficult, as opposed to being seen as an opportunity. Fashion people are often up against tight deadlines, they are short on time, and often commercial targets seem to be in conflict with operating in a more sustainable way. The CO platform is designed to address both these challenges. How will CO further sustainability in the fashion industry? Our goal is that CO will be so helpful to fashion professionals everywhere that it will become a fundamental tool, essential to operating a fashion business efficiently - whether or not our users have any interest in sustainability. In order to impact sustainability in the industry as a whole, we need to work with all businesses - not just those that are already committed to best practice. CO matches users with practical information and guidance to inspire and support them to work in a more sustainable way. The CO platform rewards more sustainable practices with higher search rankings. This creates a commercial incentive for suppliers to integrate best practice and empowers buyers to make informed decisions. Our ambition is to level the playing field, turning sustainability into an opportunity, rather than a cost. We believe that collaboration, between the organisations supporting better practices in the fashion industry, and the businesses they support, is fundamental to achieving meaningful change. If we commit our resources in a strategic and joined up way, we are going to achieve our common objectives much more quickly. We are committed to working in partnership with the other organisations leading change in the fashion industry. If you are interested in partnering with CO, email us. CO is run by the Ethical Fashion Group Ltd, which is a for profit Company Limited by Shares. We describe ourselves as an “impact” business - we strive to operate in 3 dimensions (3D) - giving equal consideration to profits, people and planet. Our articles include our social and environmental goals and we are set up so that we can register as a B Corporation as soon as resources allow. Being an impact business makes it possible for us to take on the equity investment we need to grow, at the same time as achieving our social and environmental impact goals. What is the relationship between CO and the Ethical Fashion Forum? CO is run by the Ethical Fashion Group Ltd (EFG). There is no legal connection between the EFG and the Ethical Fashion Forum (EFF), which is a not for profit organisation. However the EFG builds on ten years of work by the Ethical Fashion Forum and is effectively the next phase of the EFF’s online SOURCE platform, which has operated since 2011. The EFF board and team made the decision in 2015 to set up a for profit entity (EFG) in order to bring in equity investment to take our work to scale. At present the focus of EFF and it’s expert board is to play an advisory role in the work of EFG and CO.
Read the CO Story for more information on the transition from EFF to CO.
At CO, we define sustainability as success across three dimensions: commercial, social, and environmental. The Company Practices section of the CO profile is an opportunity to share what businesses are doing across various key environmental and social areas. Does your company’s business model maximise benefits to people and minimise impact on the environment? The way you choose to operate your business, generate and use profits determines your impact on people and the environment. For example, a revenue model that depends upon selling a high volume of low cost, low value product, contributes to a culture of over consumption and disposable clothes. This currently leads to negative environmental impacts (use of limited natural resources, pollution and waste). For CO a truly sustainable business model is one in which the commercial success of the business is aligned with increasing benefits for people, and solving, rather than increasing, environmental challenges. integrate circular principles into your business model (eg reducing volume, creating durable products that are made to last, encouraging and enabling product repair, recycling, product rental or leasing, closed loop)? donate to charity on a formally committed and regular basis? enable your employees and/or suppliers to be shareholders in your business and benefit from your growth? How do you optimise lower impact or less polluting energy sources in your processes and/or products? How do you prevent water pollution and wastage in your processes and/or products? Reducing your environmental impact involves thinking about the natural resources used in your production or in making the products you sell. It’s about managing those resources as efficiently as possible. Working this way can help limit your environmental impact, including on global warming – plus it can bring significant cost savings. What are your approaches for cutting the use of hazardous chemicals? Around 8,000 synthetic chemicals are used in the fashion, textile and footwear industry. Think about how chemicals are used in your processes or products. How are you managing the use of hazardous chemicals? Check the regularly updated ZDHC MRSL list on restricted substances for conformity guidance. How do your processes help keep our air and water clean? Pollution – of air, land and water – occurs at all stages of the supply chain. For example, 20% of global industrial water pollution comes from textile dyeing and treatment. Are you measuring the emissions from your production processes or that are attributable to your products? What are you doing to reduce these? Are your products and/or processes reducing waste? What recycling/upcycling/circular approaches do you use? Recycling treats used or waste products so they can be reused not discarded. For textiles, this can result in a drop in quality or requires items to be reprocessed into something new (eg turning old clothes into new fibre). Upcycling reuses the material or product without degrading the quality and composition of the material for its next use (eg turning bicycle tyres into jewellery). Unlike a linear economy (make, use, dispose), a circular approach means products are designed with their eventual reuse in mind. How do you use organically grown fibres? Pesticides and insecticides used in growing crops, primarily cotton for the fashion industry, affect our natural environment and the farmers who grow them. Are you using organically grown cotton or other fibres? Do you have a plan to increase your use of these? Are you a 100% organic brand or manufacturer? How do you use non-organic materials that are kind to the environment? Aside from organically grown fibres, there is an increasing number of more environmentally friendly alternatives to conventional textile fibres and materials. These include recycled and alternative fibres (eg hemp, nettle), closed loop and/or more sustainably produced cotton (BCI, CmIA), innovative cellulosics from waste products and several more. Do you conform to the FINE definition of Fair Trade for marginalised producers and workers? actively to play a wider role to achieve greater equity in international trade? How do you ensure all workers in your operations have decent work adhering to minimum labour standards? Formal and informal workers in your operations and in those of your suppliers have a right to work with dignity and enjoy a good livelihood. Ensuring this includes, but is not limited to, providing good working conditions as outlined in the ETI Base Code on wages, working hours, health and safety, and social protection. Consider what steps you are taking to meet such standards. For example, is your workplace (and/or that of your suppliers) unionised? How do you promote and support traditional artisans and their skills? Heritage and handwork skills sustain local livelihoods and can have fewer negative social and environmental impacts as mass produced goods. Informal workers, often women with families to support, also benefit from a revival of traditional crafts and skills, as many are homeworkers. Consider sourcing from artisans – many of whom now trade direct online – for components of products or for finishing. Doing so can help skills such as handspinning, handweaving and finishing to thrive. How do you find and work with suppliers in an ethical way? Whom you choose to buy from and how you trade with them is key to enabling decent working conditions and to minimising any negative impact on local people and the environment. For example, do you follow social and environmental criteria when sourcing suppliers and/or in your supplier handbook? Check whether your buying practices support or undermine your ethical criteria. Do you avoid the use of all or some animal derived materials? If you use animal products how do you ensure the welfare of the animals? Animal derived materials such as leather, wool, silk, fur, down, bone and exotic skins have been used in fashion for centuries. However some materials require the death of the animal, others may be raised in poor conditions. Do you have a vegan approach of no animal products? Or a ban on certain materials? The CO Pro Membership is designed for users who want to access all of our intelligence and other resources, showcase your own personal work, and make more connections to build your network. Your individual profile on CO is your online portfolio and CV. 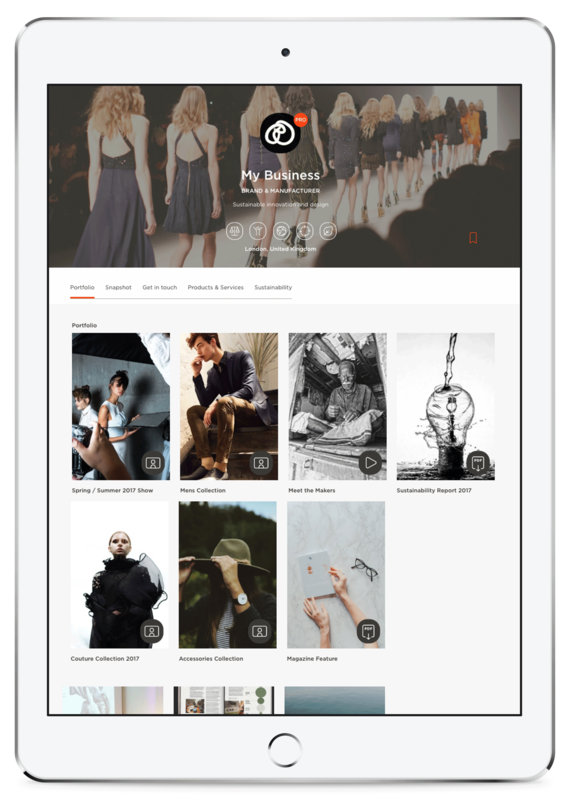 With a CO Pro membership, you can showcase more of your own work - including images, PDF downloads, video, and links to external sites. The more content that you have on your profile, the more likely you are to get matched with relevant connections. And your eye-catching profile makes more users want to connect with you. With the ability to send unlimited connection requests (free CO members are limited to 5 per month), CO Pro members can network with more people on the site and have more opportunity to build your business and collaborate. The CO Business Pro Membership gives you the freedom to put your business into the spotlight with an enhanced business profile. This means it will be more likely be matched with other CO members and allows you to better showcase your products or services to potential customers and collaborators. More portfolio items (image galleries, PDFs, and video) and more images per gallery mean you have more opportunity to tell your business' story and showcase your offering. 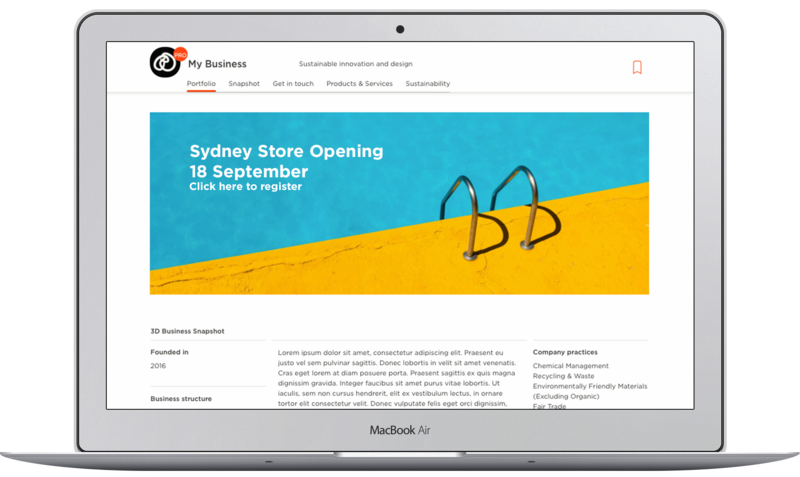 As a Business Pro member, you can hyperlink from your image gallery sites such as your own website or ecommerce platform. This allows you to convert your CO profile traffic into your own customer pipeline. A feature banner on your business profile gives you the space to promote special events, news, job vacancies, and more. Update it with your own branded design anytime you like.